Strong trade support between travel providers and their highest performing agents has been given another boost this year with renewed interest around the Abercrombie & Kent Connoisseur initiative. Agency sales manager at Abercrombie & Kent, Scott Bearman-Brown, explained: “The A&K Connoisseur group is potentially open to everyone. 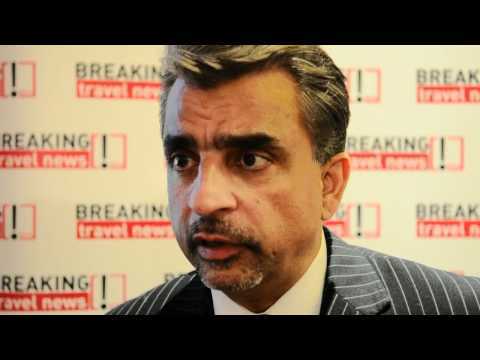 Vikram Madhok, chairman, World Travel & Tourism Council, India, offers his thoughts on the development of the tourism industry in this growing destination. Abercrombie & Kent Villas is delighted to announce the addition of nine new villas in Sardinia to its existing Italian portfolio of villas in Tuscany, Amalfi Coast, Umbria and city apartments in Florence. Abercrombie & Kent is considered the World’s Leading Luxury Tour Operator by the World Travel Awards. Etihad Airways - voted the World’s Leading Airline at the World Travel Awards - and Abercrombie & Kent, named World’s Leading Luxury Tour Operator also at the WTA, have forged a new strategic partnership to offer guests luxury travel experiences in 50 destinations around the world. Abercrombie & Kent has suspended plans to offer holidays to Cuba following concerns over its relationship with the Foundation for Caribbean Studies. The luxury travel tour company had affiliated itself to the Cuba-based Foundation in an attempt to open the ‘people-to-people’ requirement needed to offer trips to the island. Geoffrey Kent is one of the travel trade’s great characters, and a self-confessed adrenaline junkie. BTN looks at the career of the founder of Abercrombie & Kent, voted “World’s Leading Tour Operator 2010” by World Travel Awards, and chairman of the WTTC. Abercrombie & Kent Villas has crossed The Atlantic to introduce a diverse portfolio of seven villas in the Americas. Whether a family holiday or a romantic getaway, no two places in the Americas are quite the same and the possibilities for a perfect holiday are endless. A kaleidoscope of natural wonders, ancient civilisations, legends and folklore, echoing with music and colour, our expert guides will unravel the many secrets of Peru. For those dreaming of genuine adventure, Antarctica has long been considered the last frontier. This pristine landscape of mountains and glaciers remains largely untouched by civilization, yet an information explosion fed by television, movies like “March of the Penguins” and the internet has moved this once-remote destination to the top of many travellers’ “places to go next” lists.